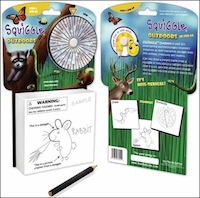 The newest additions to the Squiggle line are the Nature Squiggle On The Go games. These games are similar to the others in that you get a pad with random black-line squiggle “starting points”, and a spinner. 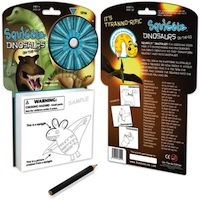 Here, the spinner will indicate the type of animal you get to draw from the Squiggle! 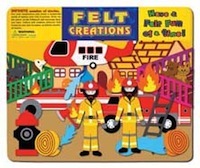 Y ou could turn that odd-shaped line into a zebra or crocodile in the Safari edition, a duck or llama in the Barnyard edition, a manatee or a stingray in the Ocean edition, or a fly or a raccoon in the Outdoors edition. 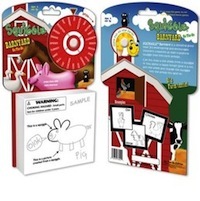 There are 24 animals on each game’s spinner, but you can be sure no two attempts at drawing the same animal will be alike!